The agricultural contracting industry is generally a family run business and is handed down from generation to generation and the ethic of providing a top class, efficient service is maintained. 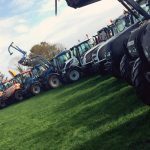 For this edition of Irish Tractor, we focus on an agricultural contracting firm that is now in its third generation. 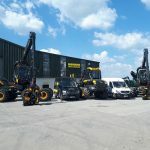 Poyntzpass-based Megaw Contracts has been providing a loyal service to its ever increasing customer base for almost 50 years now. When John Megaw began contracting little did he know that decades later, the family name would still be synonymous with this ever-growing industry. John’s son Ivan came on board in the late eighties and then his grandson William became involved and along with his father, runs the business. Some of the customers associated with Megaw Contracts actually date back the three generations and this is a testament to the work and the service that they provide. Generally speaking, an agricultural contractor who provides a quality service will tend to hold onto his customers. 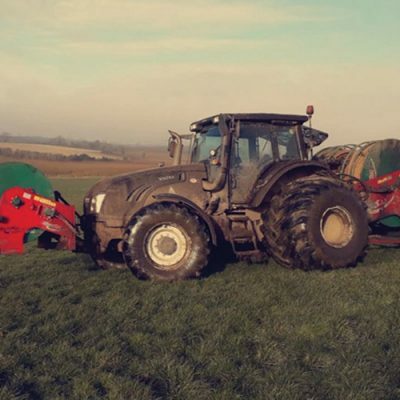 This has certainly been the case with Megaw Contracts who combines the best machinery and expertise to provide an unrivalled service to the farmer’s exact specification. “We are busy enough at the moment. 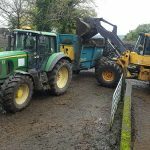 We are currently at slurry and with the weather the way it has been, we are two or three weeks behind, which is frustrating, but sure there is not a lot we can do about it. 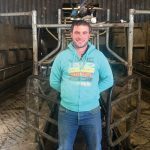 We run two umbilical systems for the slurry and we find them to be very efficient and we can get through work a lot quicker with the systems that we use,” said William. 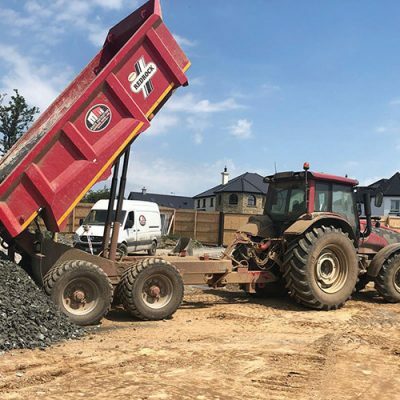 Megaw Contracts have preferred John Deere tractors to carry out their work over the years and that remains the same, although Willie stated that they have added a couple of Fendts to the fleet. As a qualified John Deere mechanic, Willie has an inside knowledge into the workings of their fleet of machinery, but he revealed that they don’t do much of the maintenance work themselves. 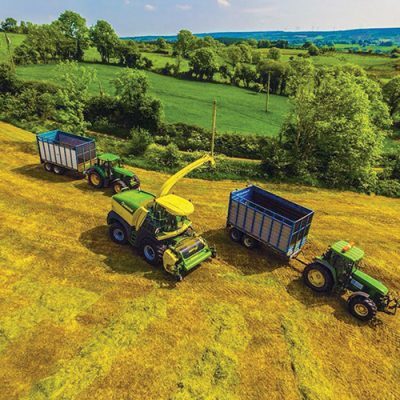 With the silage season just around the corner, Willie revealed that they machinery is all being checked and ensured that it is ready for what will be a hectic schedule. To carry out their many services, Megaw Contracts run a team of eight full time employees, all of who have a great deal of experience in the agricultural industry. Their customer base has grown over the years, while William admitted that they would be covering a small catchment that is well populated. With a comprehensive fleet of machinery at their disposal, Megaw Contracts has the capability to handle every job and the wide range of service provided ensures that they are kept busy all year around. 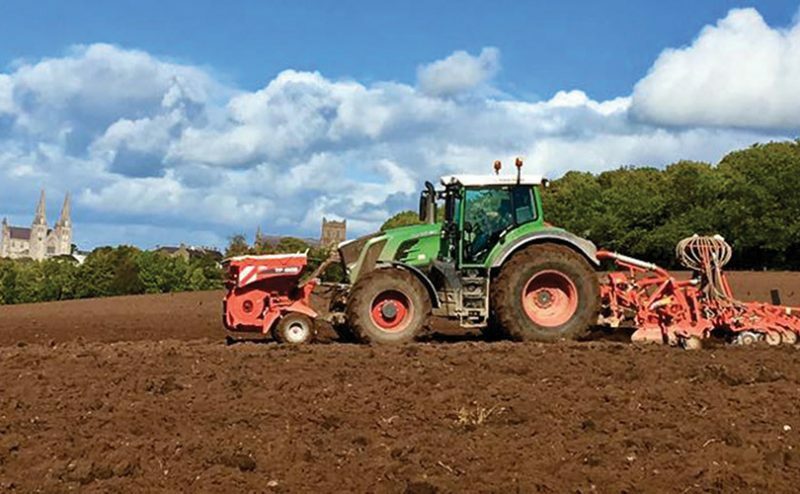 From hedge cutting to ploughing and sowing to digging and mowing, there’s always plenty of work to be done on the farms of Armagh and South Down. Looking to the future, the focus will remain fixed on the same abiding principle that has defined his business since inception: providing a quality service: “We’ll keep going as best we can and get the bills paid and try to keep the lads in work. “I’d like to think we are in a good position going forward. But there is a lot of competition and there are a lot of men working very, very cheap in silage and slurry. I don’t know how they can afford to do it, but some people seem to be prepared to work for next to nothing and that’s hard to compete with.